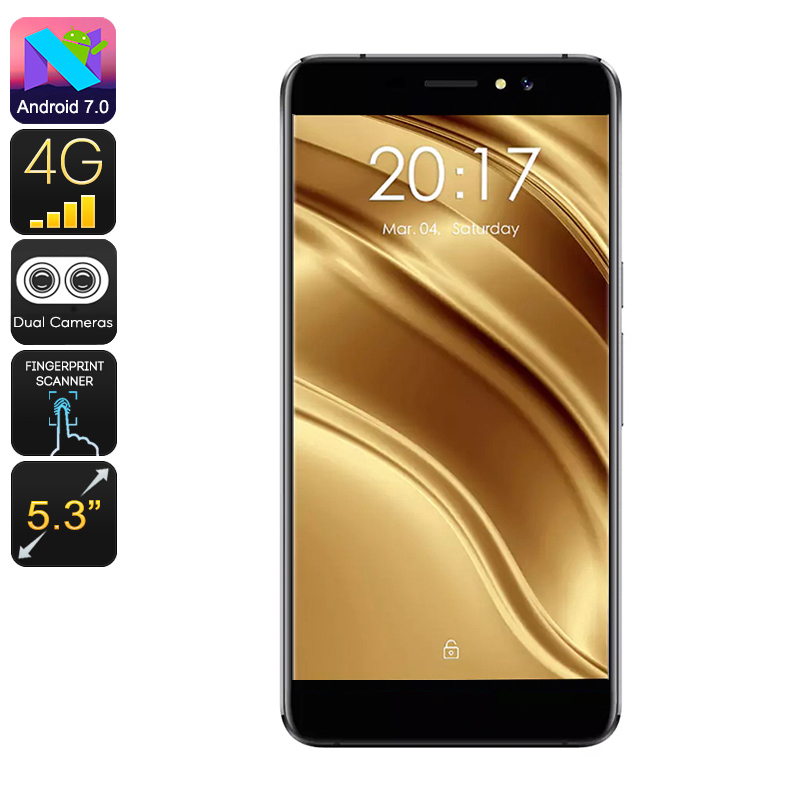 Successfully Added Ulefone S8 Pro Android Smartphone - Android 7.0, Dual-IMEI, 4G, MTK6737 CPU, 2GB RAM, HD Display, 13MP Cam (Black) to your Shopping Cart. Enjoy great connectivity at an affordable price with the Ulefone S8 Pro Android smartphone. This cheap Android phone features two IMEI numbers. Thanks to this, you can slide in two SIM cards and stay connected to both of them at the same time. From now on, you’ll always be reachable on two phone numbers simultaneously. This is perfect for busy business people that wish to use one device to separate their work and private life. Additionally, you’ll be treated to 4G to further increase your connectivity. From now on, you’ll always be able to stay connected to the internet no matter where you’re at. With its Android 7.0 operating system, this latest smartphone is guaranteed to put forth a smooth performance. It comes packed with the MTK6737 processor that has been clocked at 1.2GHz. Additionally, it comes with 2GB of RAM. With this sophisticated hardware in place, you’ll be able to tackle all basic games and applications without dropping a frame. The cell phone supports 16GB ROM and a 128GB SD card slot. Therefore, you can be assured that you’ll never run out of space to store your files and media. On its 5.3-Inch HD display, this Android phone brings forth beautiful HD resolutions. It comes with a 3000mAh battery that lets you enjoy all your mobile media for up to 3 hours in a row. This provides you with enough juice to get through a regular day of smartphone usage. No matter your smartphone demands, the Ulefone S8 Pro is sure to treat you to a smooth experience. It even lets you snap stunning pictures with its professional-grade 13MP rear camera. The Ulefone S8 Pro Android smartphone comes with a 12 months warranty, brought to you by the leader in electronic devices as well as wholesale Android phones..
Hello. I order two (2) of them and They Worked as expected. Lots of functions for the price. than other models I had before. Latest OS android 7 performs perfectly. This is a truly 4Star rating phone. Only an observation - I rather prefer the USB recharge port down not Up.